Cosmetic dentistry will give you a healthy, radiant smile. It is one of the most effective ways to improve confidence and repair damages caused by food stains or chips that may have occurred over time. 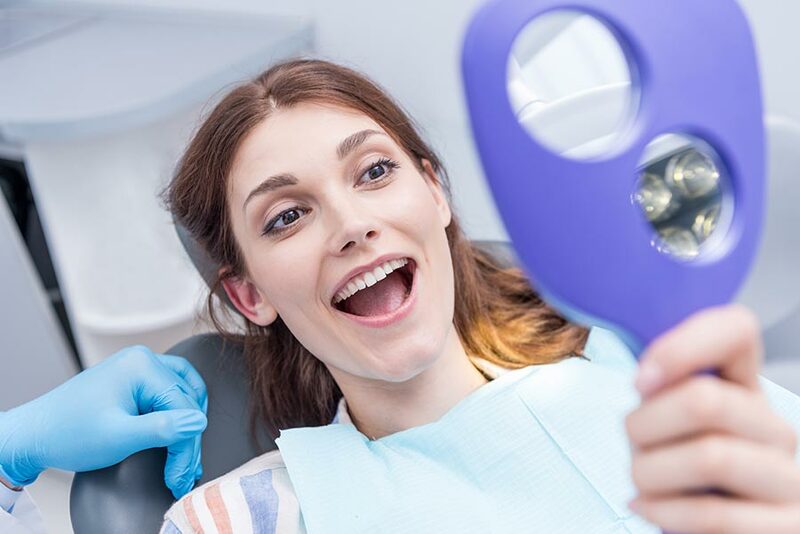 With state-of-the-art materials, and tested, trusted dental techniques, cosmetic dentistry improves your appearance and enhances self-esteem. Composite fillings have replaced traditional silver colored amalgams, while gold has given way to porcelain in the creation of bridges. Other techniques like teeth whitening, bonding and veneers can improve the color and/or shape of your natural smile. Teeth whitening, as the name implies, is a process for making your smile brighter and more attractive. The many methods of teeth whitening vary widely in application, time, effectiveness and cost. Professional teeth whitening is usually much more effective than the over-the-counter methods and will remove the natural darkening or yellowing that has occurred over time. Dr Goraya will discuss the various options with you before doing any treatment so the results you want will be the results you get. Implants may be the best option for replacing a single or multiple missing teeth. An implant is a metal post that is attached directly to the jawbone. After the bone and surrounding tissue has healed, an artificial tooth (restoration) is attached to the implant. Implants provide superior benefits compared to bridge work as they do not depend on neighboring teeth for structural support. Implants are the closest dental structure in durability to natural teeth and have greater cosmetic appeal. Cosmetic bonding rebuilds chips and fills in gaps with a resin that can be colored to blend with the surrounding teeth. The bonding adheres directly to the surface of the tooth and is hardened in place with bright ultraviolet light. Cosmetic bonding is an attractive option because it is reasonably priced and is a shorter procedure than crowns and veneers. Cosmetic dentistry bonding may require replacement due to wear and gradual discoloration over time. For this reason some patients prefer more permanent solutions such as dental crowns, bridges, and porcelain veneers. All these options should be discussed with Dr. Goraya before making a decision. Dentists use Crowns, or ‘caps’, for restoring severely decayed or fractured teeth. First, the dentist removes the damaged portion of the tooth. Then, a unique mold is taken and used to manufacture a crown out of the proper material that will fit and cover the healthy remaining tooth. The crown is then fixed into place with special cement. Dental crowns help prevent the need for root canals and tooth extraction by reducing the risk of tooth fracture and tooth decay. They restore a more natural bite and chewing ability. Dental bridges serve to replace one or more missing teeth. First, the dentist prepares the teeth on either side of the missing tooth to receive crowns. Then, a false tooth is attached between the two crowns. Once the ‘crown-false tooth-crown’ combination is cemented into place, it ‘bridges’ the gap left by the missing tooth. For these reasons, dental bridges are a good investment. If a bridge is not possible, or the adjacent teeth do not need crowns, dental implants may be the best alternative. Dental veneers are custom crafted porcelain laminates fitted by a dentist over the front of an existing tooth. They bond directly to the front of the tooth, dramatically enhancing its shape, color, and appearance. Veneers are strong and durable and maintain their color. If you live around Seattle, Greenwood, Ballard, Fremont, Shoreline or Northgate, WA, stop by to see how cosmetic dentistry can help you.